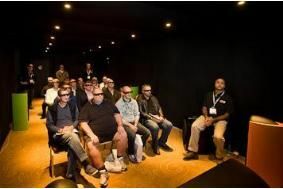 MANCHESTER SHOW 2010: Come and see our amazing 3D TV demo! | What Hi-Fi? MANCHESTER SHOW 2010: Come and see our amazing 3D TV demo! And we've got a fantastic magazine subscription offer exclusively for this weekend: sign up with a direct debit and you'll get a 25% discount and free copy of our 2010 Awards issue, plus a free Chord SuperShield HDMI cable worth £50 or Sennheiser HD 218 headphones worth £40.